This is something I wrote in 2009. Not a lot has changed. I wrote yesterday that I have simplified my theory down to three simple universal elements and one complicated individual goal. The first element is relaxation and balance. 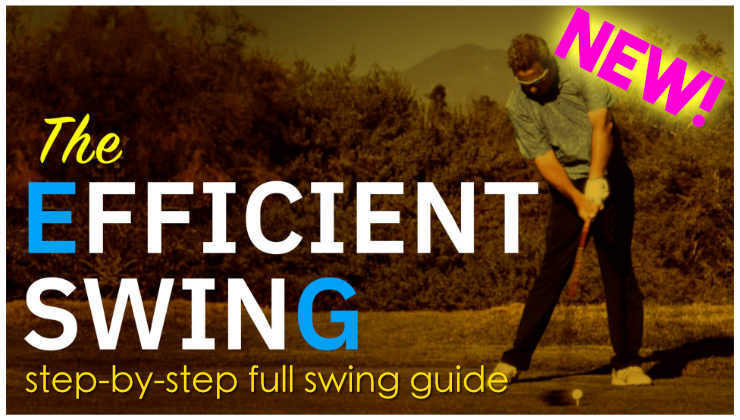 You can swing as hard as you want as long as your are in balance and devoid of excess tension. Balance at address is your #1 priority. You must also have good relaxed posture and a nice constant grip pressure so your body can turn freely and stay in balance. A grip that suits you is part of this. If you have a grip that doesn’t suit you, it will be hard to have good posture and be tension free. The second element is rhythm/tempo. It can be a fast rhythm or a slow rhythm, but it has to be there. Nick Price had a fast swing, but it has great tempo/rhythm. 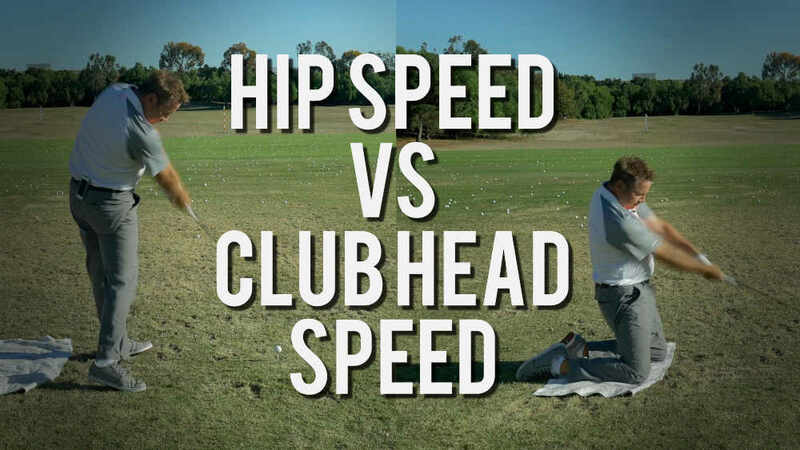 Amateurs who have deathly slow back swings and fast transitions to the downswing, have the worst rhythm possible. I can’t tell you what your proper rhythm/tempo is, but you want your swing to flow and you want the transition from back swing to down swing to be smooth. Like I have said before, I personally like to think of the 1-2 rhythm of a grandfather clock pendulum. Which brings me to the third element. 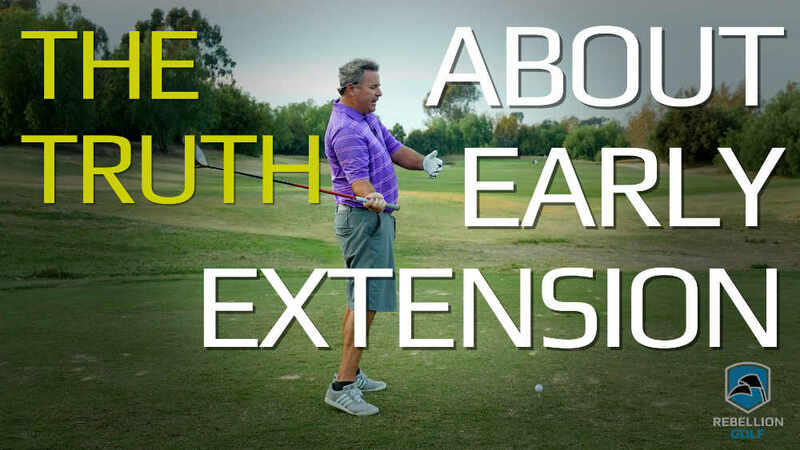 The third element is how to approach your swing. Modern golf instruction is about what things you are going to force yourself to do correctly. I have tried that way and it stinks. This may seem like semantics, but making your golf swing better and shooting lower scores is about avoiding the bad things and your body will do what is right for you all by itself. You just have to avoid doing something (or things) stupid that doesn’t allow your body to do it right automatically. Putting the club on plane manually, forcing a full turn, swinging inside/out, restricting hip turn, holding the angle. Yuck!!!!!!!!! Your body will never swing in sync trying any of these things because it makes body parts work independently of the rest and it locks your brain up. Like I said, sometimes we have to retrain bad muscle memory, but that is done with eliminating bad movements, not purposely trying to do the right ones. If you are taking the club too far to the inside with your arms, you don’t solve that by manually putting the club on plane, you do it by avoiding the excess arm swing, turn the club back with your shoulders and your body will swing on plane all by itself. In my way of doing things, element #3 is about retraining bad muscle memory. Modern golf instruction is about adding a whole new set of bad muscle memories to make up for the bad you have already. To sum up, here is my simple swing theory. Setup with good and relaxed posture, swing with good tempo, avoid manufacturing a “perfect swing” and allow your body to do what is correct automatically. The complicated individual goal is how far do you want to take…what to fix first and how to fix it. Seems daunting, but if you use the three steps above, it makes things a lot easier. That`s a great post, Monte. Elements 1+2 are what you don`t see very often at the range or on the course, but are essential for good golf. While I also agree very strongly with your 3rd element, most people do not seem to be as intuitive as you when it comes to golf. I`ve taught a lot of people and the vast majority wouldn`t ever be able to find that sweet spot because they wouldn`t be able to figure out how to deliver the club to that point. While there are a lot of well informed golfers out there, they are in the minority. Most cannot ever figure out what the bad or stupid elements are and consequently can`t deliver the club on plane through impact. It`s not that they are dumb at all, just that the golf swing has some elements that are counter-intuitive and until you are shown, it`s hard to work it all out for yourself. As far as the big name instructors go, sure they are continually re-inventing the wheel (badly) to sell DVDs, but the approach of having 3,429 point within the swing that you have to hit to get the ball to the target is obviously born out of the idea that the fewer compensations made during the swing, the fewer things can go wrong, which can lead to higher levels of consistency. It also means that you rely less on timing various parts of the swing to make a whole, something that can also lead to greater consistency. Now, a simplified version of this this is not necessarily a bad thing for a tour player who is more mechanical in their approach (Faldo, for example), but is a complete disaster for 99.999% of amateurs and most feel-type professionals (e.g. Ernie Els). You are absolutely right, it does not matter how you get the club back to your on-plane sweet spot. There will always be people who do it their individual way very successfully, but they will always be the rare exceptions and they will tend to be streaky players – Furyk is probably the exception to that. I do not agree with 99% of what the big name instructors spout out of their various orifices and current swing theory is waaaaaay too complicated and technical. Golf is a sport and instructors need to recognise that everyone is different, then adapt their teaching to individuals and maximise what the student has already. 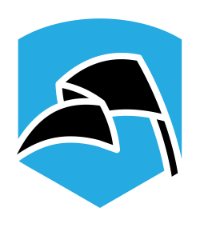 I can`t tell you how many instructors I`ve been to that tried to force their badly plagarised and poorly understood “ideas” about the golf swing onto me. On a different point, I hate the term “muscle memory” with a vengeance. As an ex-neuroscientist who worked on the developing neuromuscular connections, muscles do not remember anything, ever. They do what your brain tells them to. Sure, you can strengthen particular muscles via repeated exercises, but they retain no memory of anything, although they can fire more strongly. What needs to be done is to retrain the brain and how the brain controls the muscles. This means that the retraining can be extremely fast if approached correctly, not by untold hours of golf specific exercise or range warfare. While this may seem pedantic, or at best a semantic argument, if you think of sports motions in terms of building muscle memory, it implies a long and tested formula of exercise to attain the correct muscle memory. In reality, the brain is so capable of changing that one can retrain extremely quickly. I agree with what you said about many golfers not being able to deliver the club to the “sweet spot” and that is why I separated it from the rest of the article. I see where you care coming form about muscle memory. I hate the term “square club face” but sometimes you have to use generally accepted terms and concepts to get your point across. Holy crap – I gotta retrain my brain? This can’t end well . 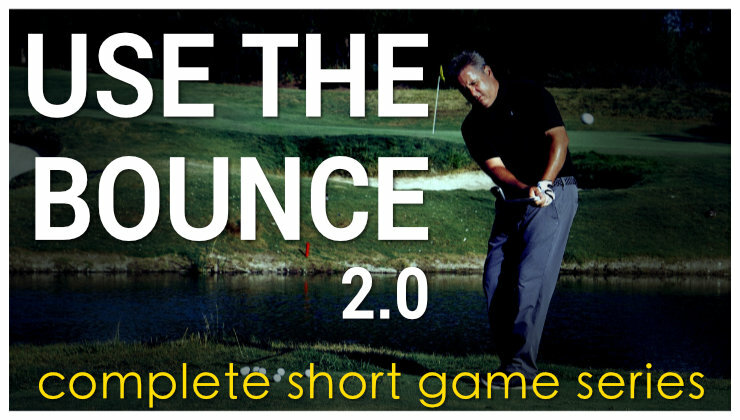 . .
Here’s the sum total of what I’ve learned in my pursuit of better ball striking. When I’m most relaxed and in balance is when the breakthroughs come. When my swing feels the simplest it can be is when I strike the ball best. Eliminating the noise in my swing is the tough part – but that’s the fun of trying to improve. Agree that the term muscle memory is a conceptual idea – not a literal description of neuroscience. A double edge sword. The more things you “try” the more compensations you are likely to develop and the more complicated your move becomes. I used to do things like you suggest and I progressively got worse. Honestly I am working on the following right now. My setup is solid (priority one). I turn it away with my shoulders and don’t worry about being perfect. I make sure the club sets before I change direction and I release it. That is getting me to that “sweet spot” consistently for possibly the first time ever. There isn’t enough band with to list all of the stupid things I had to eliminate. Thanks for your reply. I appreciate the confirmation. My last paragraph was meant to be tounge-in-cheek, hence the smiley. But it’s interesting and good to know that anyone can fall into the try this, try that trap. I like your final ‘technical’ tip that you went into. The one thing I thought of while reading that (and it may be discussed more in your video) but to do that you basically are trying to bring the shaft into the ball back on the same plane, such that at impact the line you drew at address would hide the clubshaft. The thing that I’ve found is that this can be extremely hard to do, if you notice almost all golfers RAISE their hands above that like (while maybe the club travels partially along it). I started to laugh when you brought up Jeev Milkha, because he is one of the few players people rarely look at but upon a deeper dive you’ll notice something amazing, actually Hogan-esque with his impact. If you piece apart his swing, start by drawing the line from the clubshaft to grip at address, speed the swing up (and ignore all the Zoro moves at the top) you’ll notice he actually returns the club and hands on a LOWER plane. I would guess 1 out of 500,000,000 golfers actually do that, Hogan was one. I’m not suggesting people work on getting it lower, but ideally right back on that plane is perfect. Goodluck with game! Monte, this was an epic post. I suffered from being underneath on my downswing for pretty much most of my life. If I had only KNOWN this was the root of so many of my problems while playing on the Jr. circuits, I would have undoubtedly had so much more success. Fundamentally, my swing was pretty sound, but like a lot of golfers in my handicap range, my swing suffered from an overactive lower body. Instead of trying to fix it using an endless array of different approaches from many different instructors, all I really needed to do was find a way to return on plane. Oh well, better late than never…as I am now hitting the ball better than I ever have been. Hitting the sweet spot and the multitudes of golf instruction I see nowadays really reminds me of a similar thing going on in the weight-loss & diet industry. There is a dizzying amount of modern diets out there these days (Paleo, warrior, south beach, etc.). What a lot of people don’t realize is that they are just fancy ways of creating a calorie deficit. If you tell people that it’s as simple as creating a calorie deficit, they won’t pay you to be their diet coach. But if you create some kind of fancy eating plan that tricks you into consuming less calories, people will think you are a genius and make you rich (ugh, Gary Taubes.. what a fraud). This is the same kind of crap I see going on with the golf instruction industry with people like Pelz, Leadbetter, & McLean. It’ll be interesting to see if Phil’s putting improvement is a permanent thing. so you mean that all I need to do is find my way of returning the club back to the position it occupied at address? 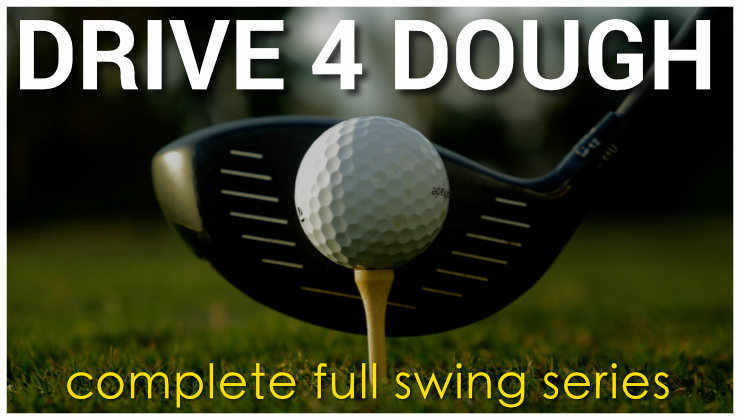 and that it makes no difference whether you start the downswing with upper or the lower body for example? Essentially yes. There are some places where it is impossible to return the club properly. Power comes from rotating your body in sync and not doing any excess moves that counteracts centrifugal forces…like holding the lag, throwing or casting the release, diving at it, restricting the hip turn, etc. Like I said, it’s not about doing what’s right, it’s about avoiding the bad things and what is right will happen all by itself. any drills you know of that will identify the particular move for an individual to discover how to return the club to the shaft line? Pan down the blog and find the video on “releasing and over the top.” It’s about a week old. The release is so important. Obviously it’s a little more complicated than you made it :-), but it is far far less complicated than we are being told by the mainstream golf media. This is a very nice article. One thing for all of us to remember is that only a few people are gifted with the raw talent that some of the professionals have. Raw talent + dedicated discipline = very successful careers in golf. For the rest of us, it is a great past time. Very intresting article thanks for shaing. You happen to be the only one who thinks so. Interesting blog you got here. I’d like to read something more concerning this theme. We might be talking semantics here, because I’d totally agree if you had written “swing from” your shoulders instead of “turn with” your shoulders. Modern golf instruction is shoulder turn and hip turn. I maintain that these are things that are seen on video, and can be useful for diagnostics, but don’t describe what is actually happening. Shoulder turn, hip turn…what’s missing? The swing!! If you do this literally, you get Lift & Chop. II like the feeling of using my torso to get my upper arms (elbow to shoulder) swinging freely from the shoulder sockets (it’s a ball-joint), leaving the shoulders relaxed enough to perform their true function–hand-eye coordination. The feeling would be like bending over without a club, and using your torso to swing your UPPER arms–not club, not hands, not forearms. (Forearms move too, they’re attached. Hands are just there to hang on to the club.) Now, that’s a pendulum. It’s also biology. The arms aren’t predominantly self-powered, as far as swinging is concerned. Your buddy Zuback says to leave your arms relaxed from the elbows down. I like it on the backswing too. Otherwise, I’d have to shift gears to swing down, and I don’t want to do that. I like it. But, if you tell me it’s madness, I might consider stopping. Snead said things…but I don’t think anyone asked the right questions. At least you know he was pulling on the downswing. Snead’s record as a commentator on the golf swing was virtually continuous between writing his 144 pages, 200 action photographs “HOW TO PLAY GOLF” in 1946 and his death in Hot Springs, Virginia, in 2002. Not only that but he didn’t change anything he recommended back in 1946, nor did he LOOK noticeably any different, unlike other giants like Hogan or Jack Nicklaus who changed their advice once they underwent personal swing changes. No criticism at all of that, but its interesting. “SAM SNEAD’S SWING TIPS AND HOMESPUN WISDOM about the game graced the pages of Golf Digest for half a century. His first bylined article, “Slicing-Causes and Cures,” appeared in the Summer 1950 issue, the magazine’s second edition. The last instruction advice he gave us, “Pull down with your left hand,” appeared in our 50th Anniversary Issue, published in July 2000. Snead was an off-and-on member of the Golf Digest Professional Panel since 1963, and his contributions to this magazine filled hundreds of pages. His contributions to the game of golf over all-and to lowering the scores of untold millions of golfers in particular-are incalculable. Here and on the pages that follow are nine of Snead’s best swing keys. Read on, and remember them, for all will stand the test of time.